Should I keep Insurance on My Cell Phone? Keeping or cutting your insurance on your cellphone is something to carefully think about. Either decision can cost you a good amount of money each year. Even though insurance can make you feel safe and warm and fuzzy, be sure to realize that insurance companies are in business to make money. Let me say that again. Insurance companies are in the business to make money. That is their main priority. When you tell them your that phone was lost or stolen you will have to pay a hefty deductible. Most times about $150 dollars. Also… you most likely will get a refurbished phone. NOT a new phone. This can be a rip off. The amount of money you paid for the deductible can be placed toward buying a refurbished, used, or even a new phone by yourself. Let’s say your insurance is $7.00 a month. After a year, you have paid $84 dollars. If nothing happened to your phone then you wasted $86 dollars that year. 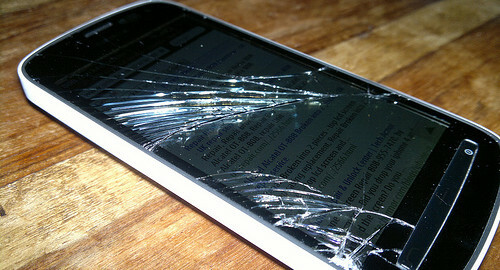 While if you actually damaged your phone you would pay the $86 + $150 deductible which is $234.00 for the year. Most insurances limit the amount of claims you can make each year. Now if you have no insurance you could save that 86 dollars each year and put it toward your phone fund. In the event that something happens to your phone you can buy a used, or new phone for about $150. You can either go to a store, check ebay or amazon, or ask some friends. I like using ebay for things like phones because you can see reviews of the seller. Another option is always keeping a backup phone that you can use for a few weeks or months until you save enough to buy a phone. Saving money requires you to think out of the box, and do the things that aren’t normal. I recently bought a Samsung Galaxy for about $400. The insurance is about 7 dollars a month. I kept the insurance for about 4 months. I call this my testing months. During this time I kept a strong phone case on it at all times, and a screen protector. I observe myself with the phone. I mentally take notes of when it drops, how I use it. If i am careless or careful. This helps me determine if I need my insurance. In addition my history is that I keep phones about 3 – 4 years with no major issues. I am the perfect candidate to cut off my insurance and save save save. Clean and unclean meat – are God’s dietary guidelines still valid? Aadesh on Clean and unclean meat – are God’s dietary guidelines still valid? Andrae on Clean and unclean meat – are God’s dietary guidelines still valid? B on Clean and unclean meat – are God’s dietary guidelines still valid?